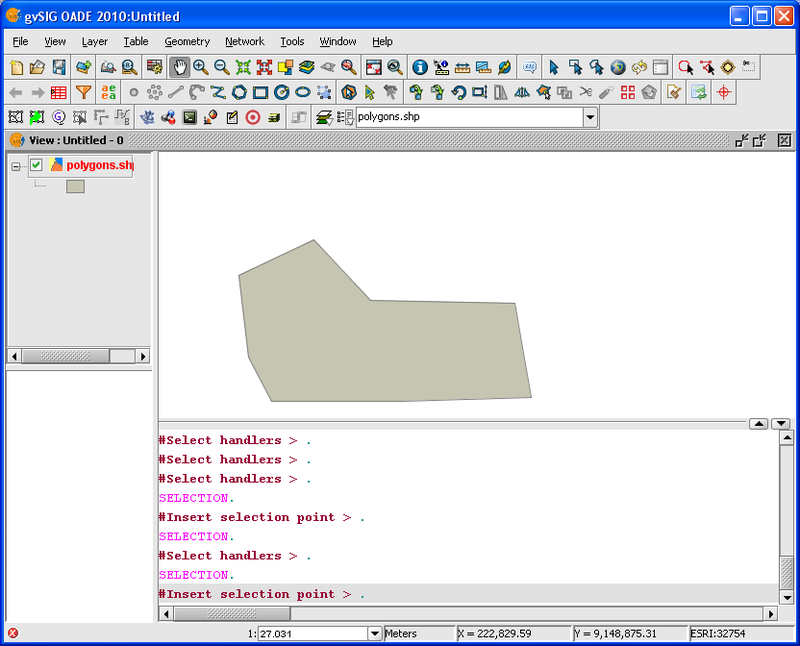 gvSIG has a rich set of GIS data creation and editing tools. 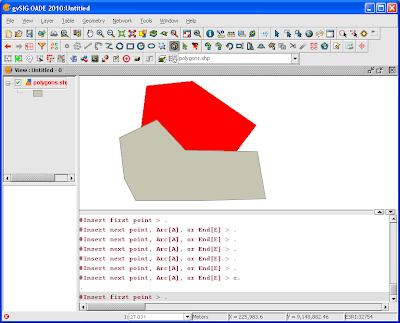 There is the Auto Polygon command, which allows you to digitize polygons sloppily and it will automatically remove the overlapping parts of the new polygon. An example is shown below. Start gvSIG OADE. Open a new View. 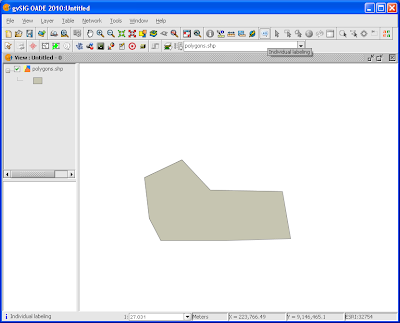 Add a polygon shape file layer, e.g. 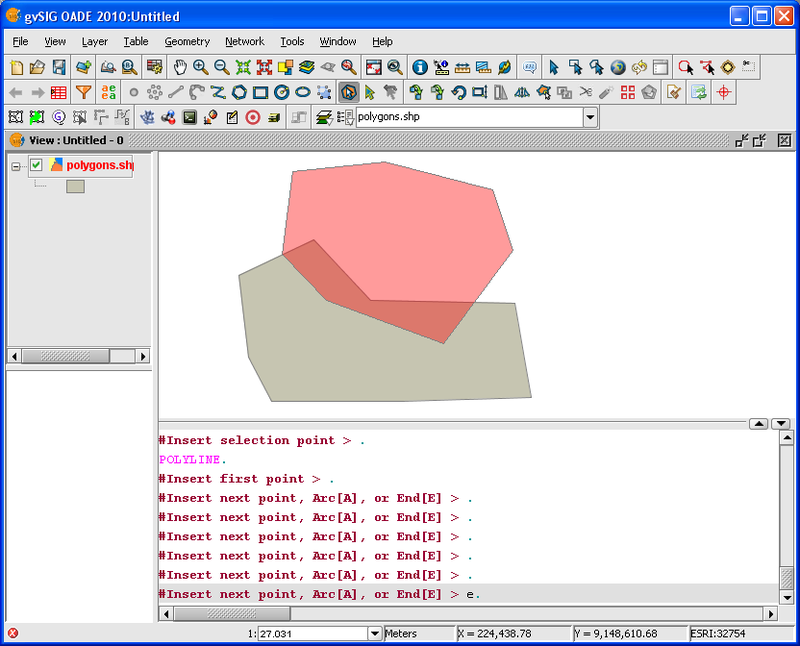 polygons.shp. 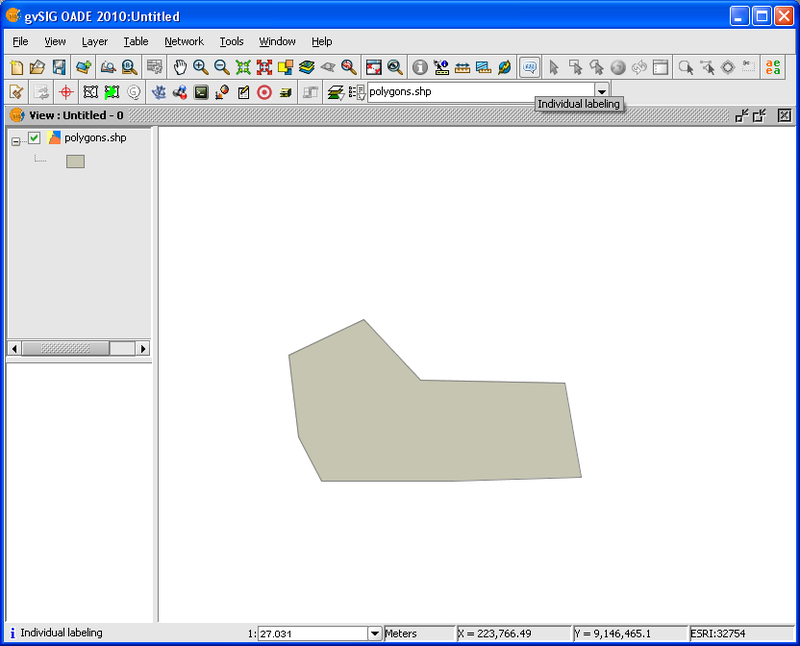 In the legend, click the polygons.shp layer. 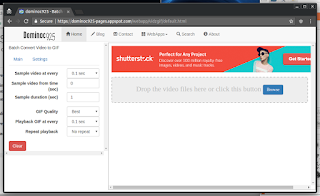 Select Layer | Start Editing. The name color changes to red. The Command pane appears. 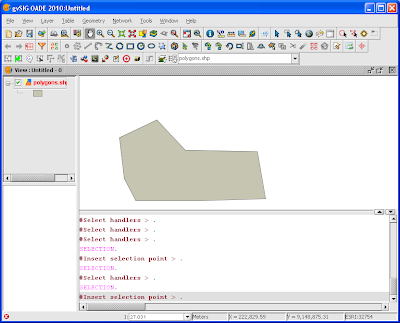 Select Geometry | Insert | Auto Polygon. 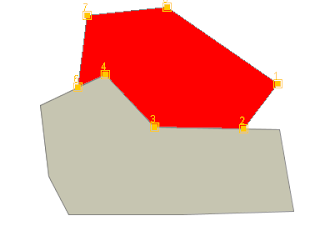 In the View, click three or more points to loosely place a polygon. In the Command pane, type in e. Press Return. 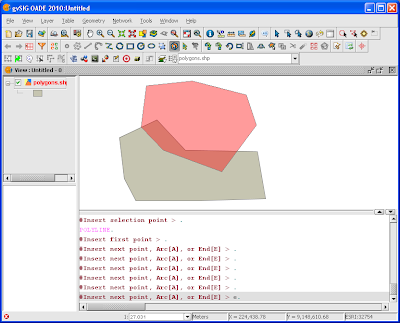 The polygon is auto corrected for overlaps and created. Select Layer | Stop Editing. If you examine the vertices of the new polygon and the existing polygon as shown below, you'd notice that the Auto Polygon command does not adjust the existing polygon at all. 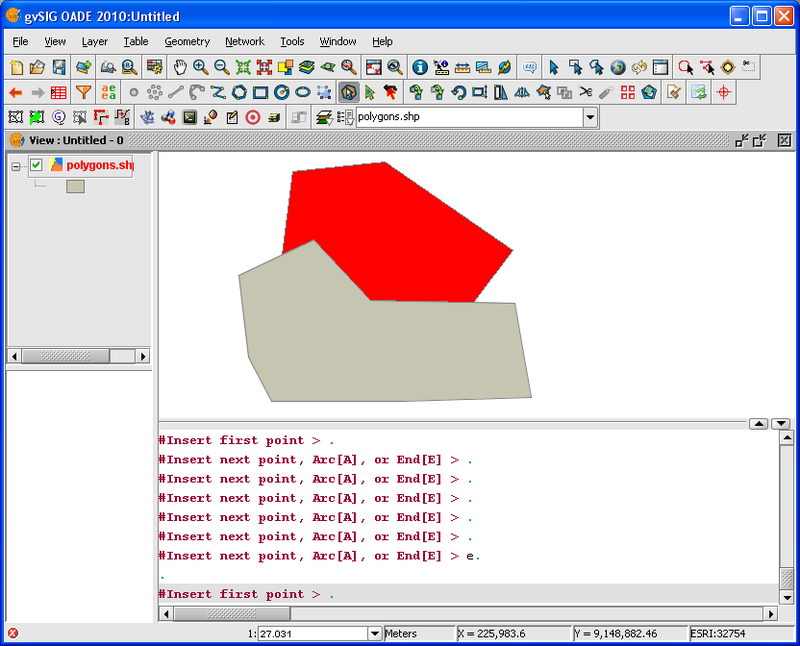 It does not create new nodes where the new polygon has vertices at the same location. 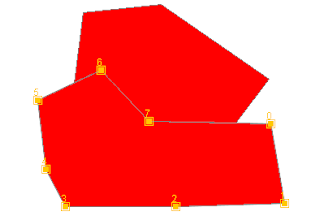 The polygon layer might need to be processed through the gvSIG's Geoprocessing Tools to clean the geometries.